You stopped here. This means you’d like to get some Google love. You want to jump into search engine optimization and learn how to do SEO for blog posts. Because you are blogging for business. Or, want to earn money through blogging. So, you’d want to increase organic traffic to your site. To generate more leads for your business. And, to increase sales. Thus, driving traffic from Google is important to you. But, How Google can actually help you? Search Engine Optimization is the term you need to understand. These are basically search engines that pick the most relevant content for the searcher. When someone searches for a particular topic on Google, search engines show them the best content. Basically, you’ve to select the right keyword and optimize your blog content. As a blogger, you create a number of posts. Just pick a topic. Choose a headline. And, write. That’s what we normally do. Right? Ideally, this is the format human loves to read. 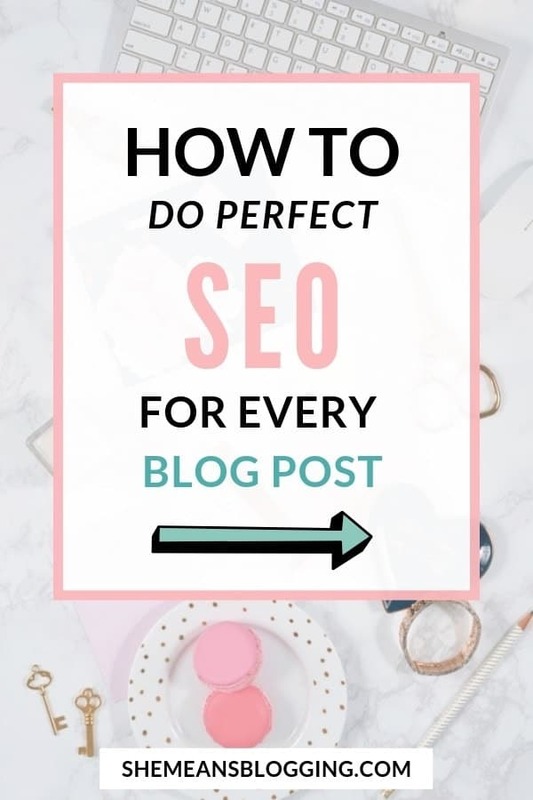 But, in order to optimize your blog posts for SEO you’ve to follow the basics of SEO and implement them in your blog writing. I’m not going to confuse you with technical terms. Let’s make it super duper easy for you. Do you want to start a profitable blog and make money blogging? Follow this comprehensive blogging guide and start your own blog today! More than 100 bloggers have already started their blogs using the guide and now, it’s time for you to start blogging! You’ve started a blog six months back. There are more than 30 unique blog posts on your site. Each blog post covers a different topic. There are even few blog comments too. Maybe few social media shares. Maybe someone has even given a backlink to one of your blog posts. Unfortunately, you don’t get any organic traffic. You probably don’t know how to do SEO for blog posts. Maybe, you are writing good blog content but not optimizing them. You write headlines but not make them SEO optimized. And, spend 5 hours online researching and gathering facts but not writing an SEO friendly blog post. This post will help you cover basic steps to do SEO for your blog posts. Writing a blog post isn’t an easy job. It involves researching the topic, gathering data, testing headlines and other never-ending tasks. What if you take another step? Know your audience well. Maybe you write about parenting, education, self-improvement, or finances understand your audience’s demographics. What your audience is searching for? What topics would help your audience love your content? How your content is unique for them? Are these mostly women or men? What age do they belong to? Focus keywords are the words that people type in the search bar or Google site. You’ve to select a keyword before planning to write on a topic. If your keyword research is strong, you can easily drive traffic to your new blog. How to do the keyword research for your blog post? There are multiple keyword tools online which are commonly used to find keywords. But, the one popular keyword tool is Google Keyword Planner. You can add any keyword in these tools and search for the results. In order to pick the best keyword, you’ve to choose a keyword that has a high volume search but low keyword competition. It’s hard to find detailed keyword information with a free tool. But, the Google keyword tool is just perfect for everyone. It sorts out basic keyword details for you. Also, try to choose a long tail keyword (Instead of parenting tips select parenting tips for new moms). It’s easier to get your post rank for long-term keywords. The answer to how to do SEO for blog post is not as difficult as you may think. Basically, you write blog posts with keywords in mind. That means you’ve to optimize your blog post with keywords. But, it shouldn’t look like robotic text. Google doesn’t like content that is stuffed with keywords. You’ve to naturally put the keywords throughout the content and other important places. Add it in the blog post URL. If possible, use the main keyword in subheadings. Sprinkle the keyword throughout the blog post. Use it in the image name, title description, and alt text. Add internal links to relevant content. Try to use other relevant keywords that are related to your main keyword. Furthermore, I’ve discussed the keyword usage and density in SEO tips you must use to rank your blog for Google. Inserting keywords forcefully in your content doesn’t help at all. Infact, it might send bad signals to google because of keyword stuffing. You need to write naturally. Your blog post needs to be engaging. You’re a human. You’re writing for humans too. When writing, get your creative juices flowing. Write as you want to write. Try to be incredibly helpful. Be valuable. Be passionate about what you write. Google no more likes robotic content. You’ve to share your experience. Your writing should reflect your expertise. Pro Tip : Start creating topic clusters to rank for thousands of keywords! This is a tip for more established bloggers but I highly suggest creating topic clusters for more keyword opportunities. Would you prefer visiting a blog post again that has endless grammatical errors, poorly organized and sleazy content? Make sure you edit your blog post before publishing. Watch out for any small mistakes it might have. Trust me, readers don’t like reading improper content. They know they’ve got better options. They will immediately use Google or other social media sites to find the best content. And, there’s no excuse for it. Grammarly is the tool I personally use to spellcheck blog content. If you want to discover more blogging tools then read this post on must-have blogging tools for every blogger! Here, I’m telling you something extra to make your blog post SEO magical. Luckily, we’ve got some amazing Free Seo Google tools that help to strengthen our site’s search engine optimization performance. For taking care of WordPress SEO, there’s a free plugin called YOAST. It’s the go-to-plugin for every WordPress user. The free version is perfect to get started. Simply go to your wordpress dashboard, and search for plugins. Then, add new. In the search bar, type yoast. Install the plugin and active it! It’s the must-have tool if you want to write SEO friendly blog posts. It handles everything. The very first thing to learn as a new blogger should be about SEO. It helps to drive free organic traffic to your website. Big bloggers and businesses pay for high-paying tools to get rank on search engine pages while if you pay attention to SEO from the very beginning, you can start attracting organic clicks. It’s totally possible but of course, SEO takes time! Start focusing on above points as a new blogger and you will start noticing some major results. Always consider writing for your ideal readers first. If you’re genuinely helpful for your readers, bring solutions to their problems. Writing about the meaningful answers they need – you’re good to go. Adding keywords at different places is totally fine. Write with a purpose. Try to use keywords efficiently. Make the content readable. Polish your content for humans. Use natural writing formula along with keywords to strengthen your SEO for blog posts. That’s the easy way to drive organic traffic. What other tips do you suggest for writing an SEO friendly blog post or optimizing SEO blog posts? Thank you for explaining this in an easy to understand way! This is what I have been working on the past 2 weeks! This the best explanation I have come across! I’m glad you found the content easy and helpful. Thanks, Ashley for checking it out. Thanks so much, Chantal 🙂 I really appreciate that. I’m sure these tips will help you understand SEO better. Thanks, Vera! Like you said, it takes much more than just writing a great post to make it SEO friendly. Really Great Content to drive organic traffic. This really the easiest way I’ve ever read online so far, to drive organic traffic. Thanks epife for this wonderful post. Thanks, Sophia! Glad it helped.